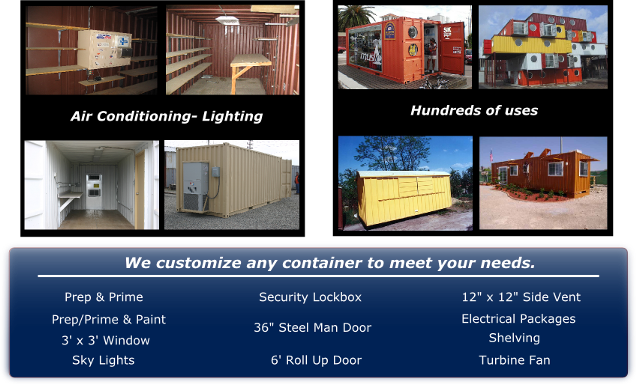 With a complete fabrication shop Storage Group Network can professionally design and modify containers to any specifications, including paint match to the environment or buildings where your container will rest. Doors, windows, vents, air conditioning, lighting are just a few of the many features that can be added to your container. 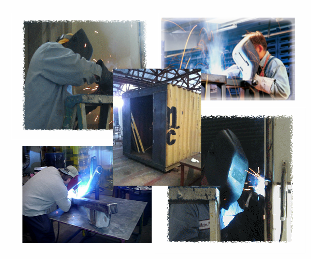 Let our professional staff help you design a container for your specific purpose.